Patch test the patient to lotions he or she has applied and to cosmetic materials used on the site, provided they are known to be nonirritant. One can usually test a moisturizer lotion by placing it in an aluminum patch-test chamber using the cellulose pad. One should not test mascara, cleansing cream, soap, shampoo, and so on, as these are irritant. A cavalier willingness to apply unknown and often irritant materials, especially from work, can result in deep ulcers and scarring and can even sensitize the patient. Avoid all products giving a positive test and all products possibly containing a chemical giving a positive test. Reinstitute products giving a negative test, one at a time. Treat with a steroid in petrolatum (only) and test this to be sure it is tolerated. Hydrocortisone has to be tested as an intradermal (Solu-Cortef 1 mg/0.05-0.1 mL) and read at 72 h. Any erythema at that time is suspect; most can be confirmed with a usage test to one area. Application to the face should be done without touching the area with the hands. A vinyl glove or a finger wrapped in plastic wrap can be used to apply the steroid ointment. This avoids hand transfer. 6. 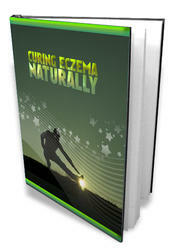 Finally, the solution to managing allergic contact dermatitis is to avoid contact with all offending agents. 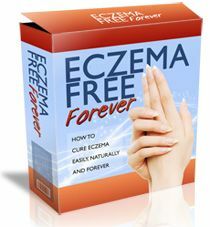 In addition, and especially for hand eczema, the patient must be taught how to perform normal daily functions without irritation, as the inflamed skin is very easily irritated, which will prolong the time to recovery.